We are delighted to announce that Agency Express has been recognised for outstanding customer service by the largest, and longest running award scheme in the UK residential property industry. 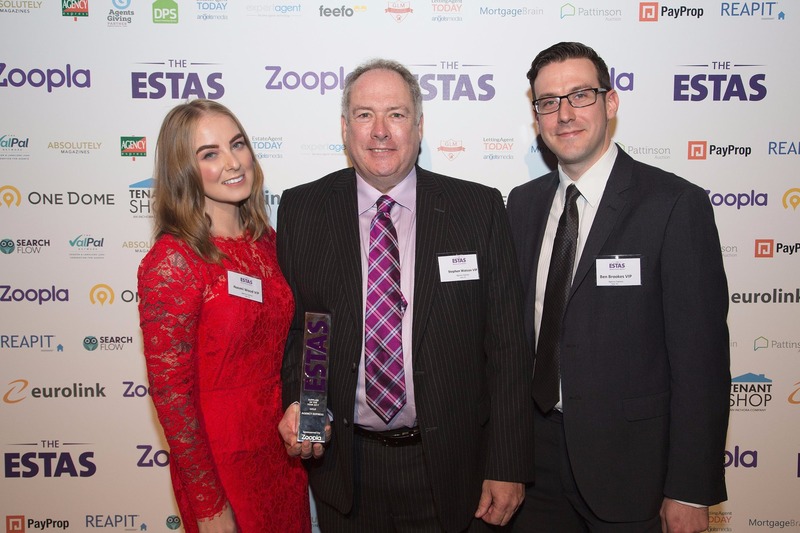 The ESTAS determines the best suppliers in the industry based on feedback from estate and letting agents who are asked a series of questions about the services they have received. This years’ competition saw a record breaking 34,000 surveys completed. Agency Express was presented with the prestigious Gold award for ‘Supplier of the Year’ and a ‘Best in Sector’ award in the ‘Board Specialists’ category. The award was announced by TV property expert Phil Spencer at the Grosvenor House, Park Lane London where 1,000 of the UK’s top property professionals attended. This industry doesn’t get enough credit for the work it does in helping millions of customers around the UK in making their dreams come true, and at The ESTAS we want to highlight that fact.” Addressing the audience he added “the industry’s leading suppliers are instrumental in helping agents deliver a great customer experience so it’s only right that The ESTAS recognises their efforts too. Like it not we live in a world where the consumer decision making process is influenced more and more by customer reviews, so The ESTAS provides a kite mark of excellent service for any property professional involved in the home moving process. 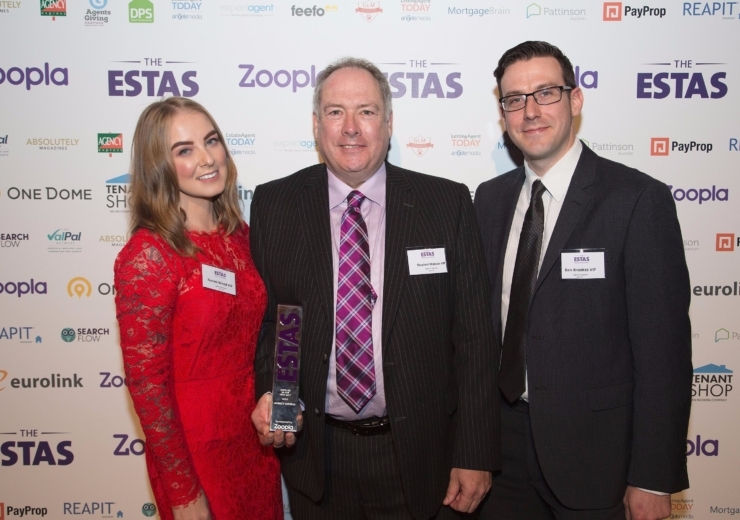 We are absolutely thrilled to be recognised as the UK’s best supplier at this year’s ESTAS. The award holds so much meaning for us as we know it’s our customers who have judged our performance. We take our levels of customer service very seriously because we know clients have a choice and they’ve chosen Agency Express. We have always been very proud of the personal service we provide and this proves we are delivering what we promise. Finally, we would like to say thank you to all of our customers that voted for us and thank you to our network of operators that uphold our brand on a daily basis.